An all white metal cap badge for the 1st Volunteer Bn. 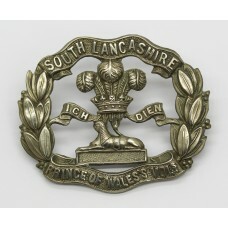 South Lancashire Regiment..
An all white metal cap badge for the Royal Scots Territorials. 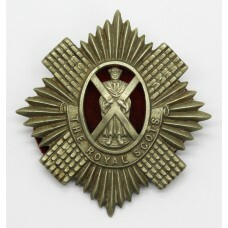 In good condition..
A Second World War white metal cap badge for the 2nd Bn. 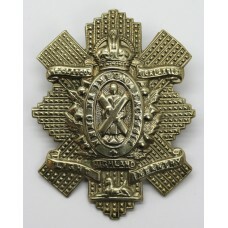 Glasgow Highlanders, Hi..
A white metal cap badge for the 5th & 6th Bns. 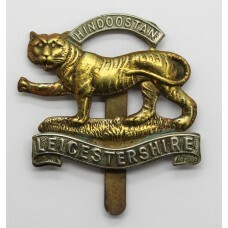 Gloucestershire Regiment. 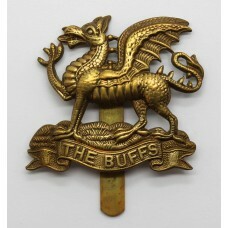 Wit..
A brass cap badge for The Buffs (East Kent Regiment). 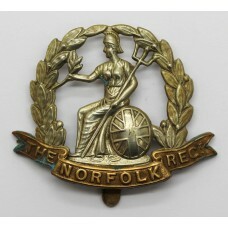 In good condition complete with..
A bi-metal cap badge for the East Yorkshire Regiment. In good condition complete..
A King's Crown white metal cap badge for the Durham Light Infantry (D.L.I.). In ..
A white metal cap badge for the Yorkshire Regiment (Green Howards). 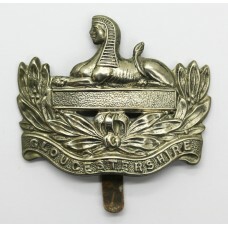 In good cond..
A King's Crown white metal cap badge for the Border Regiment. In good condition compl..
A bi-metal cap badge for the York & Lancs Regt.. With sweat holes at the back. 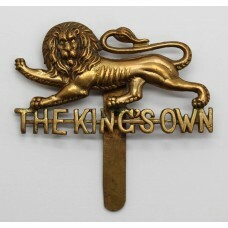 In..
A brass cap badge for The King's Own (Royal Lancaster) Regiment. In good condition wi..
A King's Crown bi-metal cap badge for the Nottinghamshire and Derbyshire Regiment (Sh..
A bi-metal cap badge for the Leicestershire Regiment. 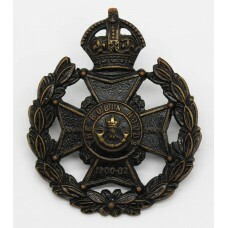 With sweat holes at the ba..
A King's Crown blackened brass cap badge for the 7th (Robin Hoods) Bn. 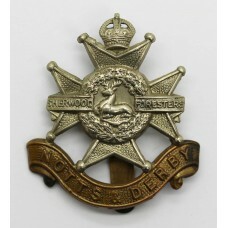 Sherwood ..
A bi-metal wreath cap badge for the Norfolk Regiment. With sweat holes at the back. I..